Spanning the six decades when Las Vegas grew from a dusty gambling town into the melting pot metropolis it is today, ‘Round Midnight is the story of four women—one who falls in love, one who gets lucky, one whose heart is broken, and one who chooses happiness—whose lives change at the Midnight Room. June Stein and her husband open the El Capitan casino in the 1950s, and rocket to success after hiring a charismatic black singer to anchor their nightclub. Their fast-paced lifestyle runs aground as racial tensions mount. Honorata leaves the Philippines as a mail order bride to a Chicago businessman, then hits a jackpot at the Midnight Room when he takes her on a weekend trip to Las Vegas. Engracia, a Mexican immigrant whose lucky find at the Midnight Room leads to heartbreak, becomes enmeshed in Honorata’s secret when she opens her employer’s door to that Chicago businessman—and his gun. And then there is Coral, an African-American teacher who struggles with her own mysterious past. A favor for Honorata takes her to the Midnight Room, where she hits a jackpot of another kind. 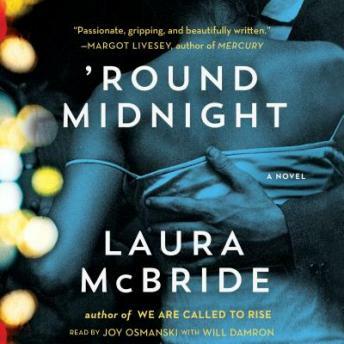 Mining the rich territory of motherhood and community, ‘Round Midnight is a story that mirrors the social transformation of our nation. Full of passion, heartbreak, heroism, longing, and suspense, it honors the reality of women’s lives.